In Algeria, soup is a staple Ramadan table item. I have had the pleasure of picking Malaysia-based Algerian blogger Kaouther’s brain and had an ever so interesting chat with her about Ramadan in Algeria, the month’s Algerian traditions and specific foods. I have come to learn that while there are ample similarities between Algerian Ramadan traditions with those in other Arab countries, I must say, there were lots of traditions over there that are completely new to me, and very specific to the Algerian culture. 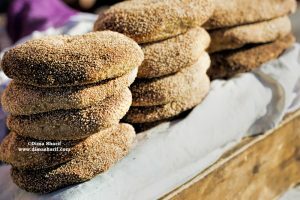 It was really a pleasure getting to know Ramadan in Algeria and exploring its cuisine and traditions which I have found very interesting and thought you might too. So read on and explore The traditions, culture and food of Ramadan in Algeria. Such enthusiasm and excitement is also very evident in the amount of preparation that takes place prior to the start of the Holy Month. Preparations start a while ahead, beginning with a complete house clean up, where the house is rearranged and spotlessly dusted, as well as equipped with new utensils and kitchen items including the traditional soup clay pots known as Teen Barma طين برمة , and at times purchasing new sets of flatware and cutleries to be ready for Ramadan entertaining. The preparations also include stocking up on local dates, dried fruits, assorted nuts, honey, grains and other ingredients for Ramadan cooking. It is all in a way resembling a new start, which goes in line with the common belief that during Ramadan one has a chance to wipe out the old and start anew. Another very Algerian specific Ramadan tradition that I learnt from Kaouther is the circumcision of infants being traditionally done on the 27th of Ramadan. Where it is a fairly large event, during which the boy wears a traditional costume especially made for this event, and where it is celebrated with an abundance of Ramadan sweets and other varieties of food. Huge attention to details, assortments of food and the company of extended family all to ensure a special and memorable event. This is very interesting because the 27th of Ramadan is The Night of Destiny for Muslims, which is believed to be the night where Prophet Muhammad’s soul was summoned to the highest universe and the whole Quran was revealed to him. The 27th of Ramadan is also a day when Algerians prepare a special dish, what they refer to as Algerian Pasta, which is traditionally only served on the 27th and the 15th of the holy month. 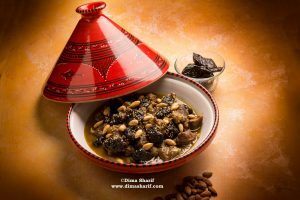 One of the nicest Ramadan traditions I learnt from Kaouther is that of always serving Tajine Barkook (prunes tajine) on the first day of Ramadan to symbolize wishing everyone a sweet and happy month, as this is a sweet and savoury Tajine . 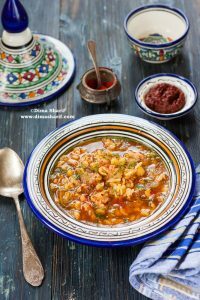 So what does Algerian cuisine serve in Ramadan? 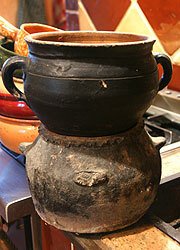 * Rice is not a staple food in Algerian cuisine and Tajines are most likely served with Algerian breads. Following the prophet’s tradition of breaking the fast, in Algeria it is done with milk and dates, then once Maghreb (sunset) prayer is over, the array of delectable food is served, where the family gathers and eats together. After Tarawih (evening) prayer, families gather and enjoy green mint tea along with traditional delicacies, usually very rich in honey and nuts such as baklawa, ktayefs (in Algeria these are similar to Knafeh not the same as the other Middle Eastern Qatayef – the name is due to the use of Kataifi pastry in the making of this dessert). Other desserts that are usually had at this time include mhancha, zalabya, makroud, kalbellouz, halwet tourk, halkoum, just to name a few. Ramadan is probably the month where home-cooked meals are most appreciated. While these days people would go and break their fast at hotel Buffets and in restaurants, the most popular choice is still home-cooked food. In Ramadan Iftar invitations are very popular, and being invited to homes remains the most popular choice, followed by hotel buffets (which usually also offer familiar foods of classic local cuisines and then restaurants. 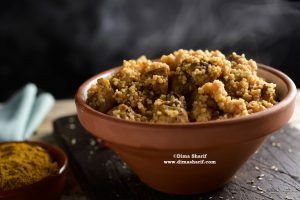 “As I currently live in Malaysia, we also often invite and get invited by Arab friends, which is an excellent way of learning about other people’s food, knowing that North African cuisine is quite distinct from other Middle-Eastern ones. For a break from homemade cooking, we do eat out at times , an experience I have no intention to repeat this coming Ramadan, because Malaysia, being a Muslim country, restaurants get extremely crowded during Maghreb time and the order takes a long time to arrive.” says Kaouther. 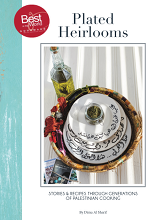 I hope you too enjoyed getting to know more about Algerian cuisine and traditions a little more closely. I would love to hear your thoughts, and if you would like to shed more light on Algerian Traditions, please go ahead and share with us.